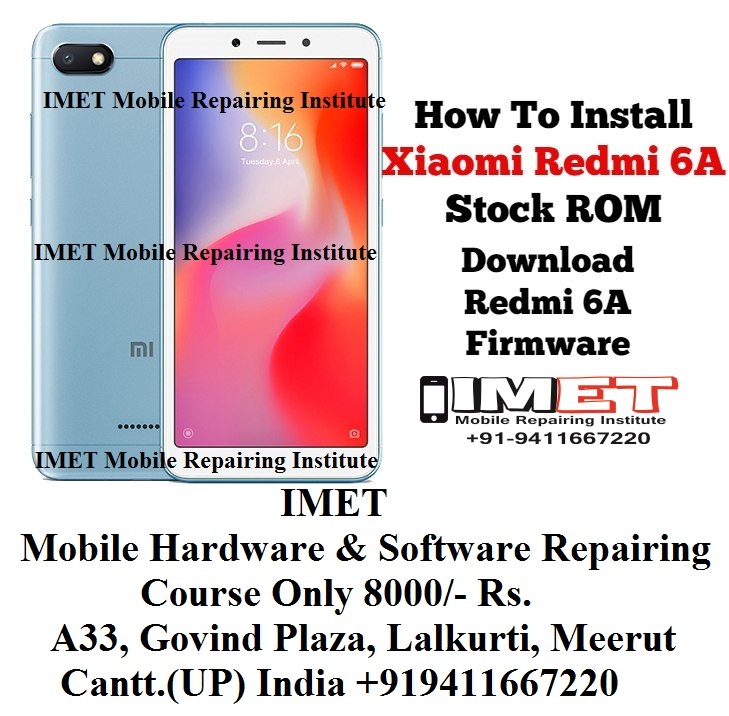 Are you a Xiaomi Redmi 6A user and trying to search official firmware of Xiaomi Redmi 6A then you have landed on right place. This step-by-step article should work on Redmi6a. Just make sure you proceed carefully because we will hold NO responsibility of any damage or broken device as a result of following this guide. Flash it responsibly. 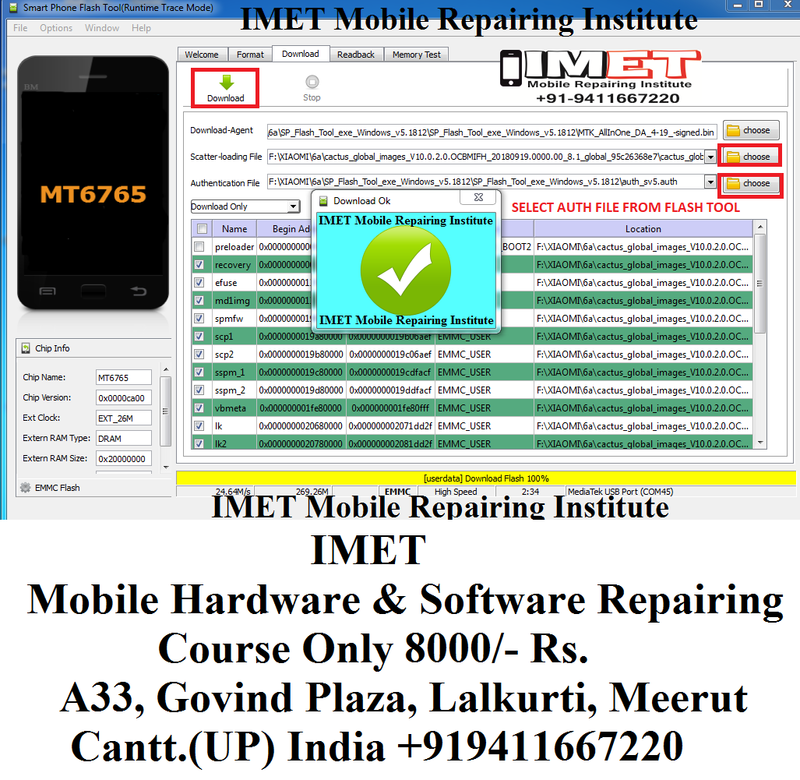 Step 1 – Extract MediaTek VCOM Driver using Winzip or Winrar. Now double-click on “Install.bat” file to automatically install the drivers package onto your computer. You may be asked by Windows system to allow security permission. Step 2 – Extract “SP_Flash_Tool_v5.1620_Win.zip” file using either Winzip or Winrar. Now go to the extracted folder via Windows Explorer and look for “flash_tool” .exe file and then choose “Run as administrator” to launch the tool. Step 3 – Now you’ll see SP Flash Tool interface. Look for and click the “Download Agent” button. Step 4 – Next, locate the “MTK_AllInOne.bin” file in extracted SP Flash Tool folder. Click on that file and click the Open button to choose it. Step 5 – Now click the “Scatter-loading” button on SP Flash Tool. Step 6 – Browse and locate the “Auth File” file inside MIUI 8 extracted folder. Click the file and choose “Open”. Step 7 – Now the tool is ready and now you have to prepare your phone. Turn your phone off completely. Step 8 – Grab the USB cable and connect it to your computer USB port but do not connect the other end of the USB cable to your phone yet. Step 9 – Next, click the “Download” button on SP Flash Tool. Step 10 – Back to your phone. Press and hold down the Volume Down (-) button and plug in the other end of USB cable to your phone while keep holding the Volume Down button. Step 11 – You will then see the progress bar at the bottom of SP Flash tool going Red, Purple momentarily, and Yellow for a few minutes. Once the flashing process started, you can release the button. p.s: You can press and hold Volume Down + Power button if the Volume Down button alone didn’t work. Step 12 – Once the whole flashing process completed, you will see the “Download OK” message displayed similar to below. Your Redmi Pro will then automatically reboot itself accordingly. However, in case of the phone did not reboot automatically, disconnect the phone from computer and press its Power button to turn it on.